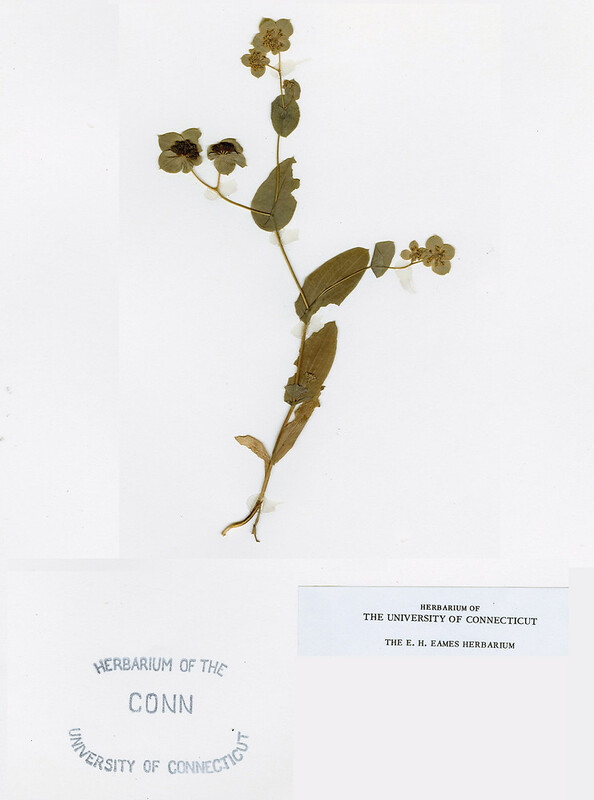 An occasional visitor from Europe and the Middle East, lance-leaved thorough-wax is occasionally collected in Connecticut and Massachusetts. 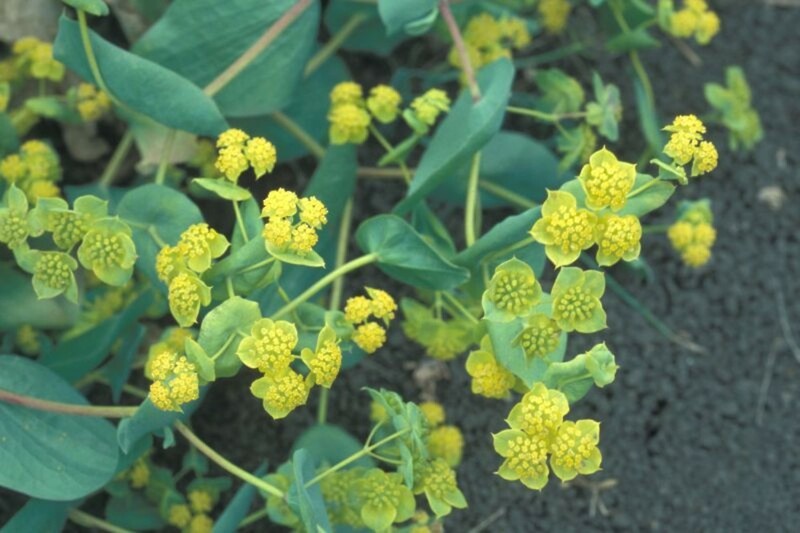 This plant is used in traditional medicine and has been shown to have antioxidant and antimicrobial properties. 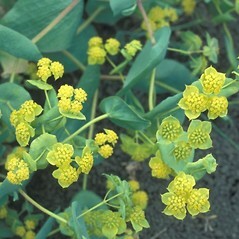 The common name thorough-wax is old English for "through-growing", referring to the perfoliate leaves that appear to be pierced by the stem. leaf blades linear, sessile, and bracts at the base of the umbel present (vs. B. lancifolium, with leaf blades oblong-lanceolate or ovate to suborbicular, perfoliate, and bracts at the base of the umbel absent). 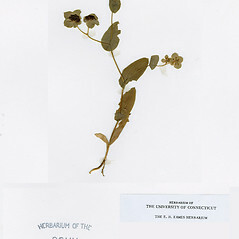 primary branches of umbel numbering mostly 5-10, bractlets at base of umbellets oblanceolate or elliptic to ovate or obovate, and fruit smooth (vs. B. lancifolium, with primary branches of umbel numbering mostly 2 or 3, bractlets at base of umbellets suborbicular, and fruit tuberculate). lance-leaved thorough-wax. Bupleurum protractum Hoffm. & Link • CT, MA. Fields, roadsides, waste areas.